in ALL caps: Nerdcore is Punk Rock! Have you heard of the genre Nerdcore? It is a subgenre of hip-hop that isn't afraid to be smart. In fact, you might need to really be in-the-know to even get some of the lyrics. 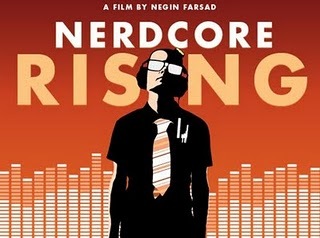 I recently watched the documentary Nerdcore Rising so I'm totally qualified to tell you all about it now! The documentary follows the leading star of the Nerdcore movement, MC Frontalot, on his first national tour. Beginning in South Carolina and culminating at the Penny Arcade Expo in Seattle, Frontalot wonders if it is possible to achieve mainstream success. MC Frontalot struggles to legitimize nerdcore as a real genre of hip-hop and to share the music with as many people as he can. The behind-the-scenes of Frontalot and his band are what really make the documentary so interesting. Frontalot and Gaby Alter, a.k.a. G Minor 7, are childhood friends, and both met bass guitarist Brandon Patton, a.k.a. Blak Lotus, in college. Strugis, the drummer, tries to fit in as the new member. Old school trailblazers like Prince Paul and contemporary hip hop aficionados like J-Live examine the legitimacy of nerdcore as a subgenre of hip hop. Nerd king "Weird Al" Yankovic discuss the origins of nerdcore while Penny Arcade creators Mike Krahulik and Jerry Holkins expound on the digital revolution that enabled the nerdcore movement. The segment where they interviewed people who didn't like the performances of MC Frontalot was possibly the defining scenes of the movie. It gives it an unbiased feel and the willingness of the director to show that this wasn't a fluff piece. After watching the documentary , I really went on a tear listening to some of the artists I became acquainted to through the movie. Of course, Frontalot being the fulcrum of the movie, it's necessary to mention him first. 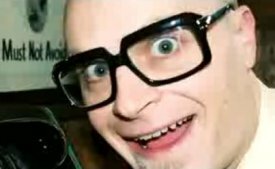 MC Frontalot was born Damian Hess in San Francisco. He grew up in Berkeley and secretly recorded rap songs to tape. While working as a web designer in 1999, he resurrected his rap hobby by creating a website for MP3s of his homemade music, the beats credited to the imaginary DJ CPU. In a song of the same name he coined the phrase "nerdcore hip-hop". Frontalot has 5 studio albums, and every single one is worthy of a purchase. Check out the track below. 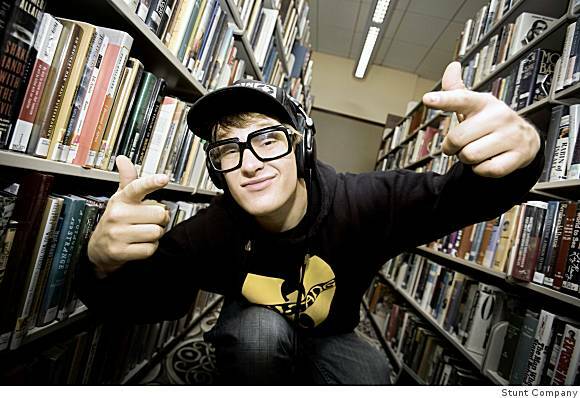 MC Lars is in the documentary, and is one of the best nerdcore artist (although he prefers to be called "post-punk laptop rapper") I discovered as a result of watching the movie. How about some more music? Check out one of my favorite MC Lars tracks. That band on that track is The Matches from Oakland California. Check out the bandcamp link for a free mixtape from MC Lars that includes KRS-One, MC Frontalot, Sage Francis, and too many more to mention!